This is Kerala's worst winless run (8 matches) in ISL history and much of it has been their own doing. 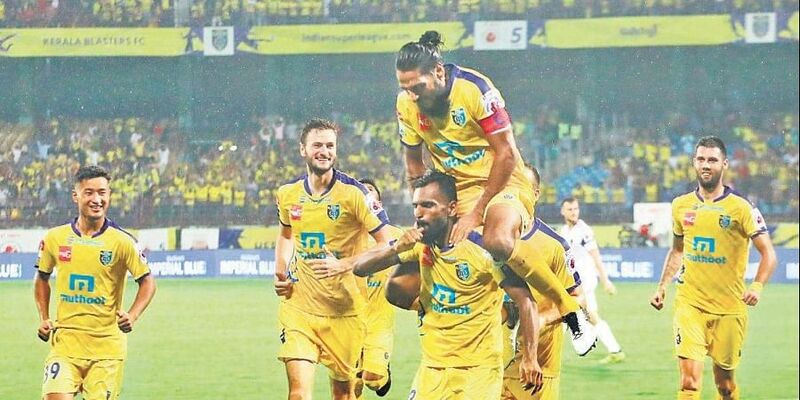 KOCHI: Winless in eight matches, Kerala Blasters FC would look to beat Jamshedpur FC in their Indian Super League football match here on Tuesday to remain in the hunt for a play-offs berth. It's getting worse by the match for Kerala Blasters FC, the two-time finalists. Since their opening round win against ATK, they have only gone downhill. James' men have lost seven points from winning positions this season after conceding late goals. Jamshedpur FC too are not in the best of form coming into this tie. They have lost only one game but have played out six draws in 10 matches, which has held them back. "I think Kerala could play very well. They didn't deserve to draw their matches. They have a good team and have a good coach. They are playing in front of their supporters. But we are ready to play," said Jamshedpur coach Cesar Ferrando The Spaniard has not afforded much game-time to star Tim Cahill who is yet to play 90 minutes this season. The Australian striker has scored a single goal in 329 minutes with the strike coming against Blasters in the reverse fixture.